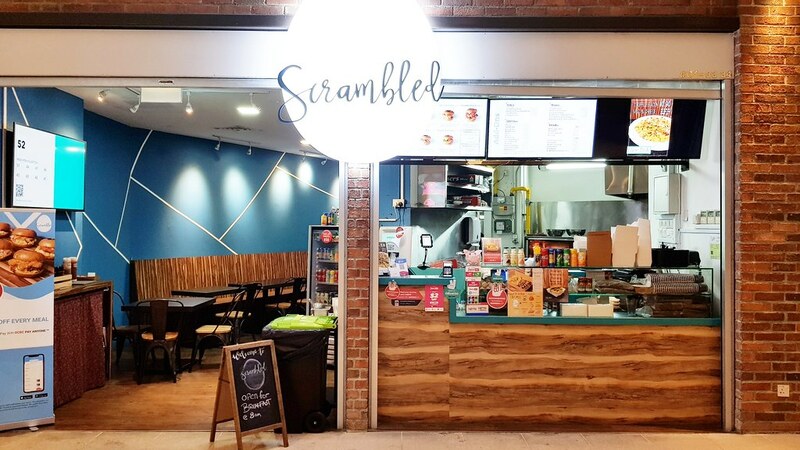 Nestled within Icon Village is Scrambled - a new egg-centric cafe with a scrambled eggs-focused concept and features a wide range of over 9 gourmet scrambled egg burgers, as well as a variety of palatable sides. Helmed by Michelin starred chefs, Hayden and Ju Lih, the scrambled eggs are undoubtedly one of the best I've had. 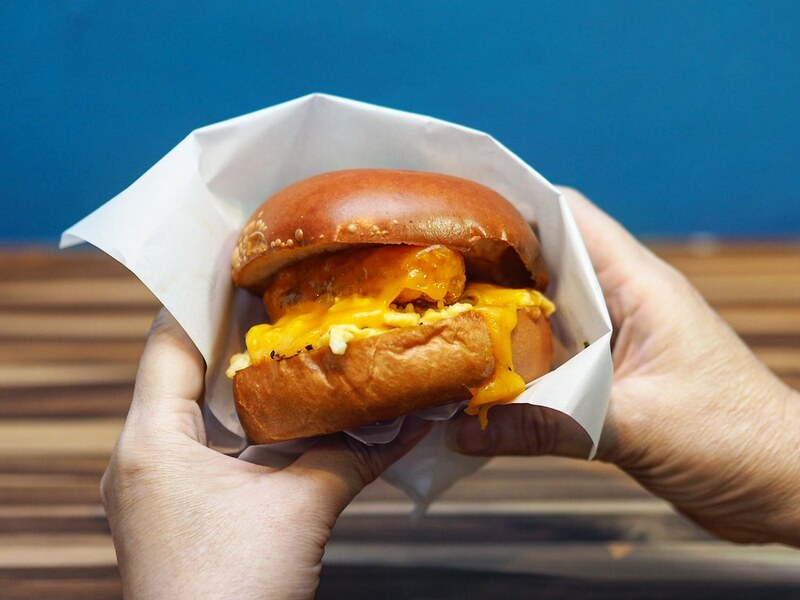 The fluffy brioche burger buns are also made fresh daily by Michelin Star renowned restaurant Burnt Ends as well, and toasted on the spot upon order to ensure absolute freshness in every burger. We headed straight for it’s most popular dish – Signature Egg ($9.90) which comes in a hearty stack of signature scrambled eggs, melted cheddar and hash brown. From the fluffiness of the toasted buns, buttery scrambled eggs to the crunchy hash browns, it boasts a simple yet superb combination. Add in sweet & savoury onion jam, and a touch of spiciness from the chiptotle aioli which was a tad mild to detect. The Bacon & Cheese ($9.90) is another one of their top sellers. Featuring the signature scrambled eggs, melted cheddar and bacon strips in between, it was executed pretty well. My only gripe was that the bacon strips were not crispy enough and were rather soft in texture. Top it all off with some sweet & savoury maple aioli for subtle hints of sweetness to go along with the savoury burger. Arriving in a massive stack of goodness sandwiched in between the familiar toasted buns is the Scrambled Stack ($14.90) which was an absolute hit. 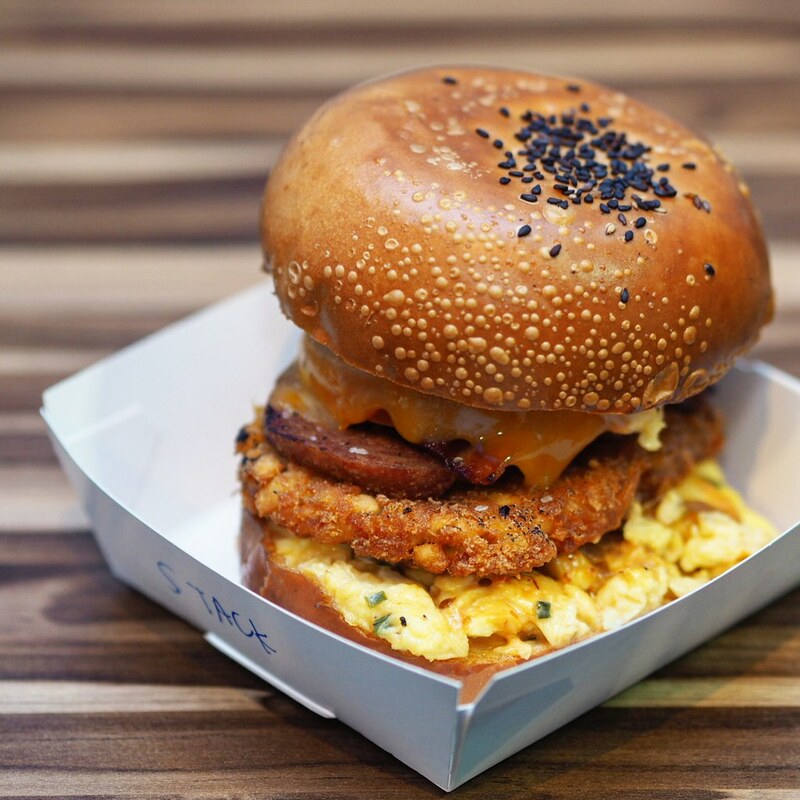 Nothing can go wrong with a medley of all the favourite ingredients – signature scrambled eggs, melted cheese, crispy hash brown, spam, crispy bacon, tomato and avocado slices sandwiched in between toasted buns. 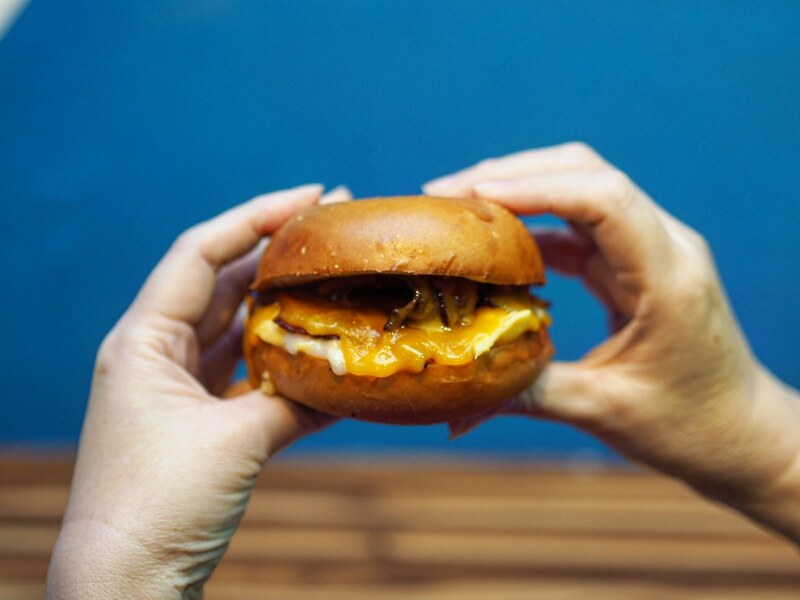 The addition of sweet & savoury onion jam, and the spicy chipotle aioli provide different flavour dimensions to the burger as well. It was akin to having the ultimate big breakfast (in burger-form), and I was impressed with how thought out this combination was, with all the flavours tying in and balancing off one another. 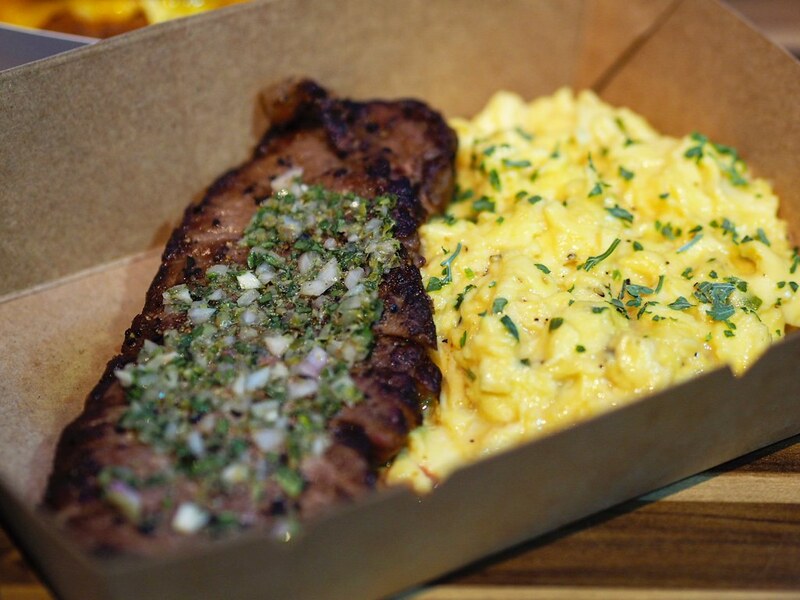 The Steak & Eggs ($17.90) features generous slices of sous vide sirloin steak cooked to medium rare which renders the meat to a perfect tender succulence, and further drizzled with chimichuri sauce to provide a lift in its flavours with a hint of fresh herbs. The dish also comes with a generous portion scrambled eggs on the side which boasts a buttery, creamy consistency. Simply seasoned with only salt, pepper and chives, and yet already stellar on its own. Go for their other burger choices on the menu which include the Spam & Cheese, Smoked Salmon, Smoked Duck, Smoked Chicken Burger or the Avocado & Tomato for a healthier alternative. 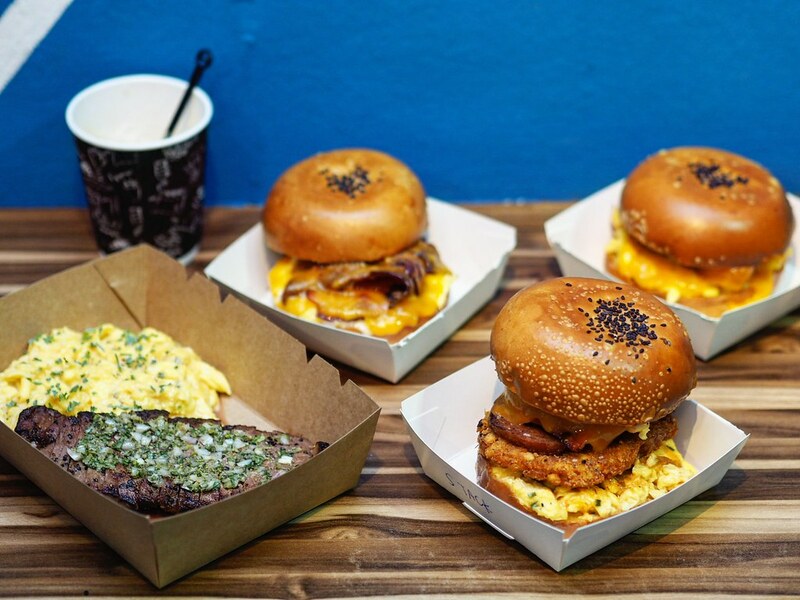 Apart from the scrambled eggs burgers, there are also the Truffle Grilled Cheese Sandwich and truffle fries for the truffle-fans as well. No doubt one of the places I've came across which does their scrambled eggs so well, and paired with unpretentious hearty ingredients in these rich stacks of goodness. It's definitely worth a try!